Roman Abramovich reportedly turned down the chance to buy Spurs instead of Chelsea after a trip through North London put him off the area. The Chelsea top dog, under whose ownership the club has won a horde of trophies in the past few years, was said to have described Tottenham as 'worse than the Siberian city of Omsk' during a drive down the High Road. According to new book 'The Club' published about the origins of the English Premier League, Abramovich was said to have seriously considered buying Spurs instead of Chelsea. But Wall Street Journal football writers Joshua Robinson and Jonathan Clegg wrote that he changed his mind after seeing the neighbourhood. While his Mercedes trundled along Tottenham High Road, he looked out and said in Russian, 'This is worse than Omsk. The book also claims Abramovich’s 2003 purchase of Chelsea for 140 million pounds ($178.5 million/65 billion naira) was a fluke. It reports that Abramovich could have bought Arsenal instead of the Blues 16 years ago, but was mistakenly discouraged from making an offer by a team of ignorant Swiss bankers. Swiss bank UBS were reportedly hired by the Russian to examine the economics of English top-flight football in 2003 and found that 'Arsenal was categorically not for sale'. Abramovich, who had been interested in purchasing the Gunners, instead chose to buy London rivals Chelsea for £140m (N65bn). The book also says former Arsenal vice-chairman David Dein believed the club's owners would have been open to selling had Abramovich made a formal offer. 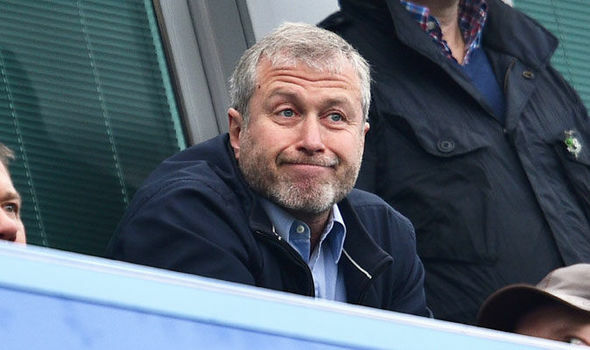 Chelsea would go on to benefit hugely from the oligarch's investment, winning five Premier League titles and a Champions League in the following years.